My vegetable CSA opened last week and they had radishes galore – reds, purples and even white radishes. Now truth be told, radishes are not my favorite vegetable. Their pungent flavor always seems to shock my taste buds. 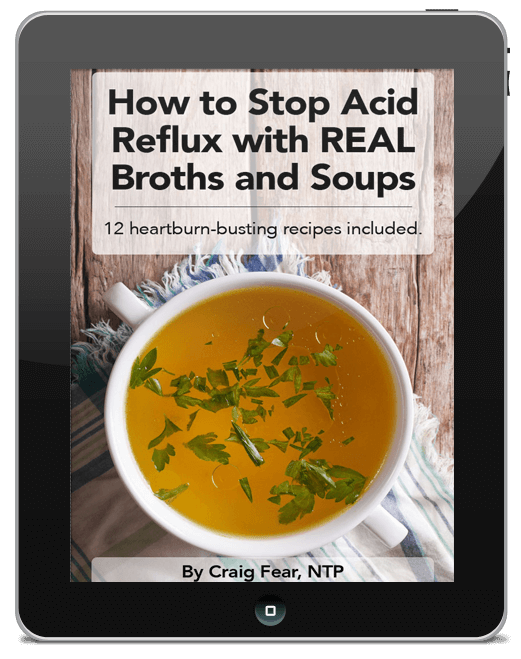 But lacto-fermented radishes are a whoooooole ‘nother story! The fermentation process really softens their flavor and I find them not only more palatable, but even quite delicious. Adding in herbs and spices creates additional tones of flavor that can turn any mouth-puckering, eye-watering raw radish into a flavor-packed delight of fermented awesomeness. OK, maybe that’s a bit of an exaggeration. They’re radishes after all, not pizza. 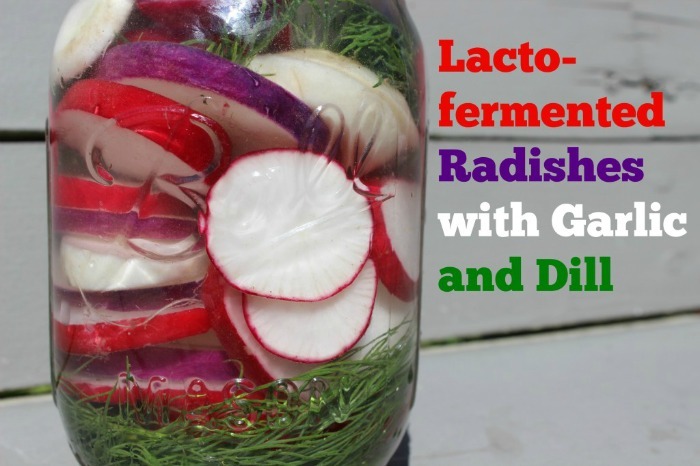 But I guarantee you’ll be pleasantly surprised just how tasty these lacto-fermented radishes are. 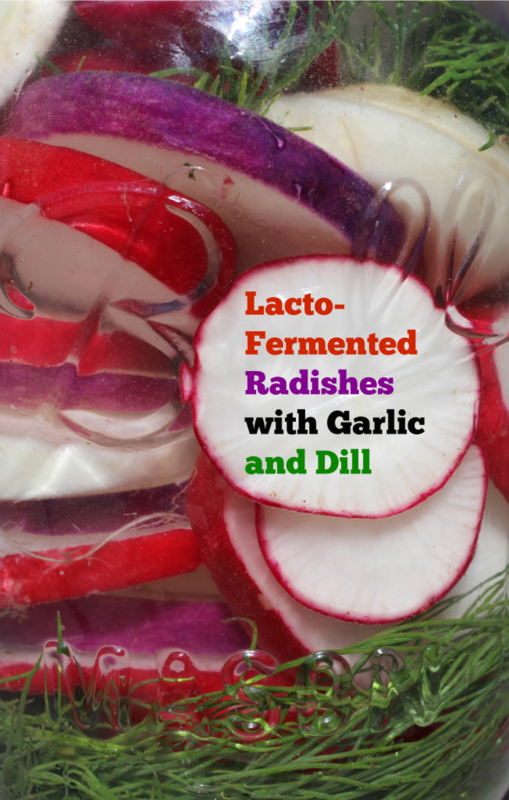 Lacto-fermented radishes are not as common as other fermented vegetables but this recipe is so simple that it just might become a staple in your kitchen. 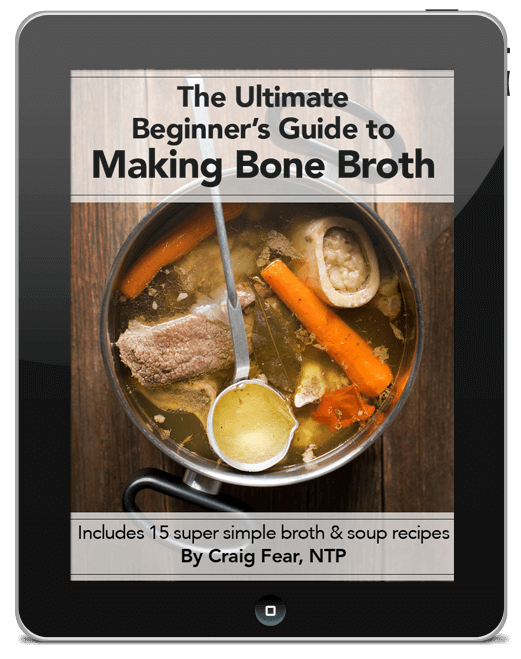 Add sea salt and whey, fill with filtered water and mix thoroughly, leaving an inch between the lid and top of water. You may have to add a small weight (find a good product here) to keep radishes under the brine. Ferment at room temperature for 3-7 days, tasting every day until desired taste/sourness is reached, and then transfer to fridge. The fermentation process gives off carbon dioxide and this can increase the pressure in the jars and even explode them if the pressure is not released. Simply open the jars once a day. You can also pour off some of the brine if it starts to rise towards the top of the jar. Alternatively, you can use an airlocks lids (find a good product here) that allows the gasses to easily escape.